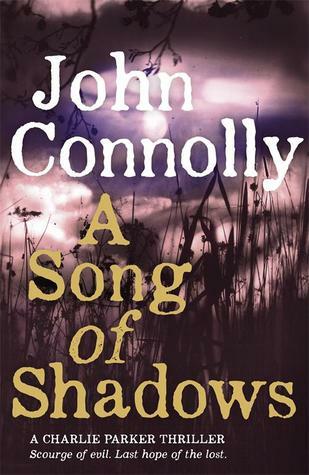 A Song of Shadows by John Connolly. After the brutal events at the close of The Wolf in Winter, Charlie Parker rents a property in the small beach side Maine community of Boreas, in an effort to heal his wounds in peace. However, knowing Parker, trouble seems to follow him no matter where he lays his head. Parker’s neighbours, Ruth and Amanda Winter, are in hiding, although they refuse to admit it to Charlie. Evil men whose origins are rooted in the operation of a Nazi concentration camp during the Second World War have their eyes set on the Winters’ demise. Does Parker have enough left in the tank to protect them or will the years of abuse put upon his body finally prove to be too much? The thirteenth book in Connolly’s acclaimed Charlie Parker series is upon us (well, upon the UK anyway – North American release is set to hit shelves on September 29th, 2015). First thing you’ll notice is that unlike the majority of the Parker series (The Reapers being a Louis/Angel novel), it’s written from the viewpoint of a narrator rather than through words of Charlie himself. While this was jarring at first, it quickly became clear that Connolly had a much grander vision in mind, something that would be difficult to do through the eyes of Parker alone. Using this style, Connolly crafted a rich history as well as compelling characters that combined to keep me glued the whole way through. Seeing as Parker is taking some much needed “me-time”, Connolly threw in more than enough characters to pick up the slack for his signature sleuth. Louis and Angel aren’t far from Parker’s doorstep as they keep a watchful eye over their friend and as always, they provide some laugh out loud moments through witty dialogue that has become a trademark of the Parker series. What would a Parker book be if it didn’t have a few dangerous men lurking in the shadows? A villain dubbed The Jigsaw Man? Sign me up. And while these evil cronies aren’t the scariest adversaries Parker has had to combat, they’re certainly some of the more desperate ones. These men have spent years running from their past so with their anonymity threatened, you can bet they’re going to fight back. For the longest time, The White Road had been my favourite Parker book, but I think A Song of Shadows may have eclipsed it. The events at the conclusion of A Song of Shadows have reinvigorated the series showing readers that Connolly has a lot left in the tank. May 7, 2015 in Fiction, John Connolly.